At Manhattan Prosthetic Dentistry, we are committed to providing the highest quality of dental and prosthodontic care available anywhere in New York City – or the world. We also pride ourselves on excellent service: from the moment you step into our reception area, you will be greeted by friendly, hospitable professionals who will guide you every step of the way. We look forward to having you as a patient and thank you for selecting us for your dental care. If you haven’t already scheduled your appointment, please give us a call today or click the button below. Our team is committed to providing the highest quality dental & prosthodontic care available in New York City. 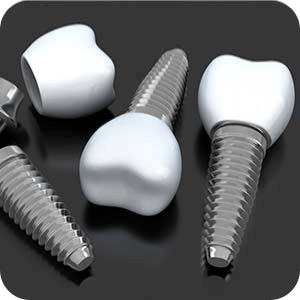 From dental implants to veneers, Manhattan Prosthetic Dentistry provide a wide variety of dental services. We look forward to having you as a patient and thank you for selecting us for your dental care needs. Dr. Sobel is incredible and solved all the problems I had that exact day. I can’t imagine what I would do without him as my dentist. Dr. Bertini is simply the best. I could not ask for anything more. He is a great doctor. All My dental appointments were a pleasure. Great experience. They had me in and out in less than 40 minutes for a cleaning and X-ray. Really great and always super professional.